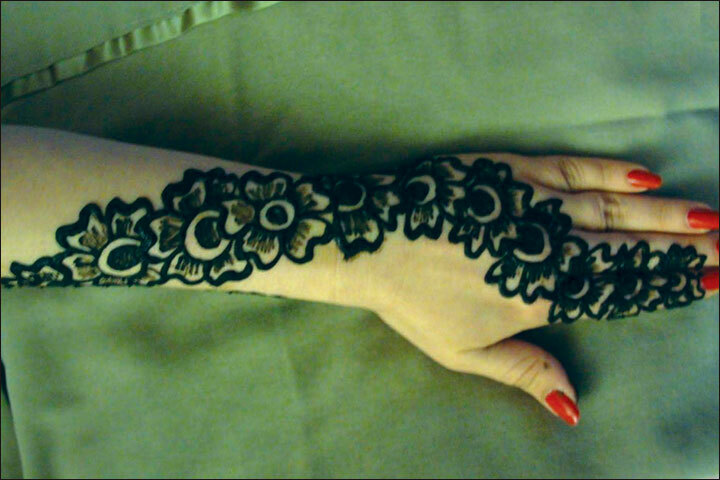 Arabic mehndi designs are the in-thing this season. 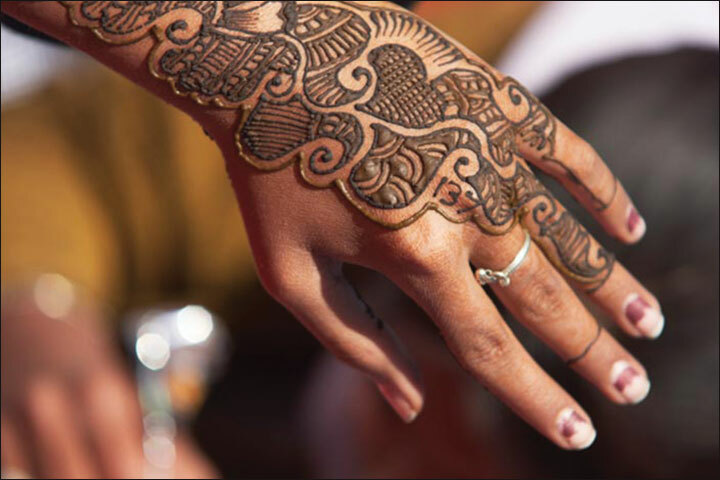 According to a global survey on mehndi designs and styling, “The arabic mehndi style is far more popular than other styles all around the world”. 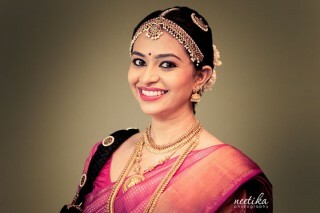 Even back home, people are adapting to this style thanks to the intricate design, elaborate templates and a far more exquisite impression that they provide. 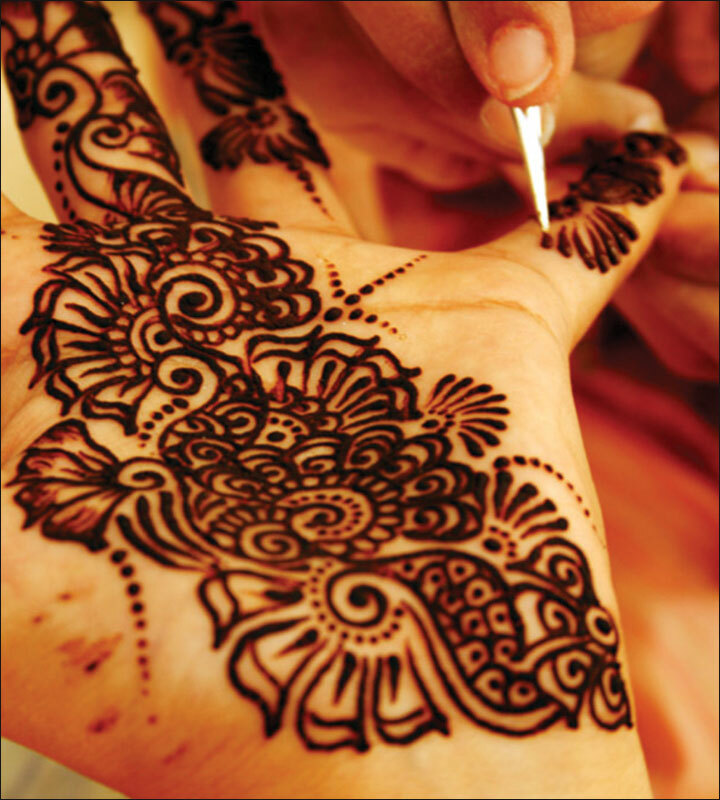 It’s a fact that Indian artists often fuse traditional local and Arabic mehndi designs to create visually stunning motifs thus banking on the best of both worlds – with delightful desi patterns and exquisite Arabian element. 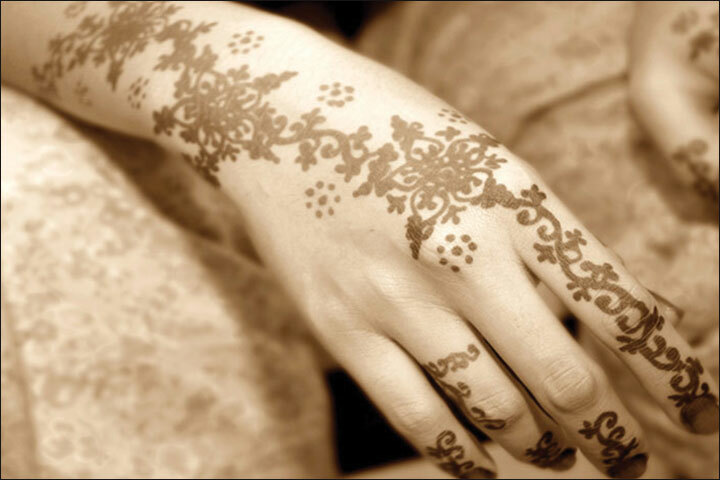 Arabic mehndi is distinctive in that it creates a dark and beautiful impression once it dries out completely. 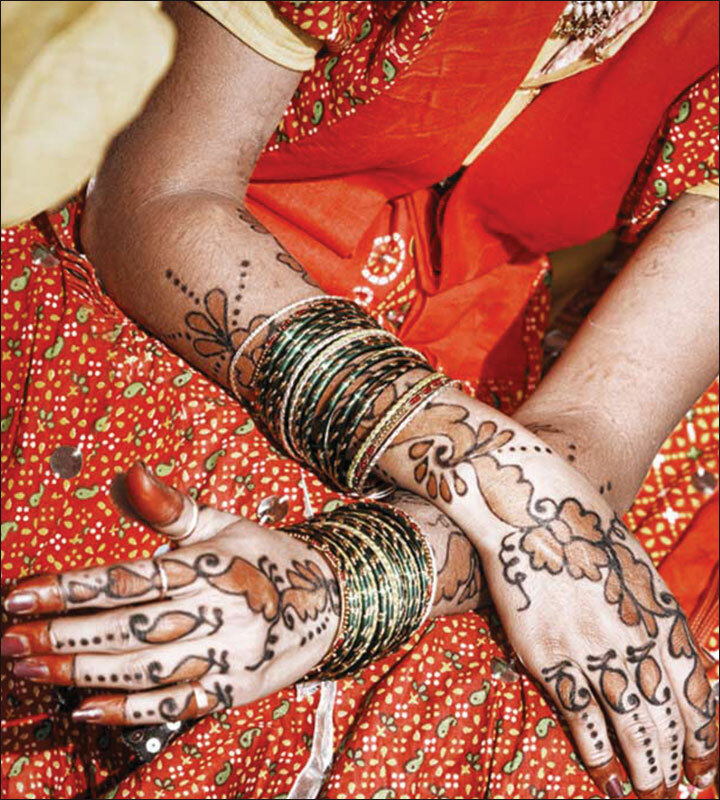 Artistic elements like shading, adding hues and outlines gives these bridal mehandi designs unique flavour. 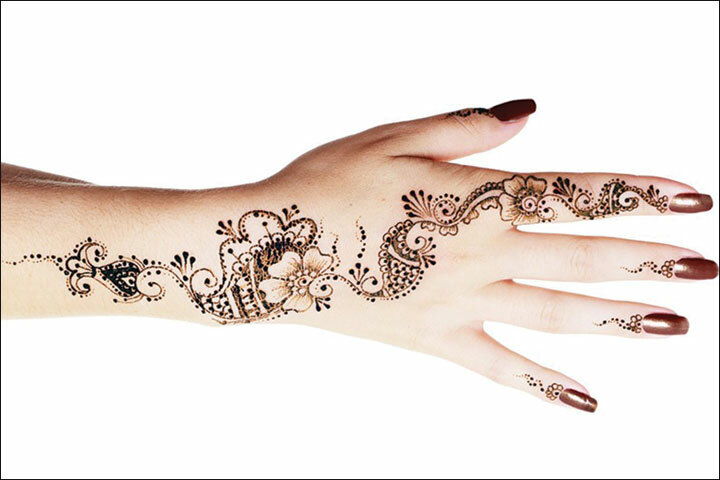 In most arabic mehendi designs, there is an exclusive introduction of dots to add beauty to the designs, like this dotted design. The most noticeable feature of this pattern is thick lines that form floral designs and dots that surround it, that make this a beautiful pattern to adorn on your big day. 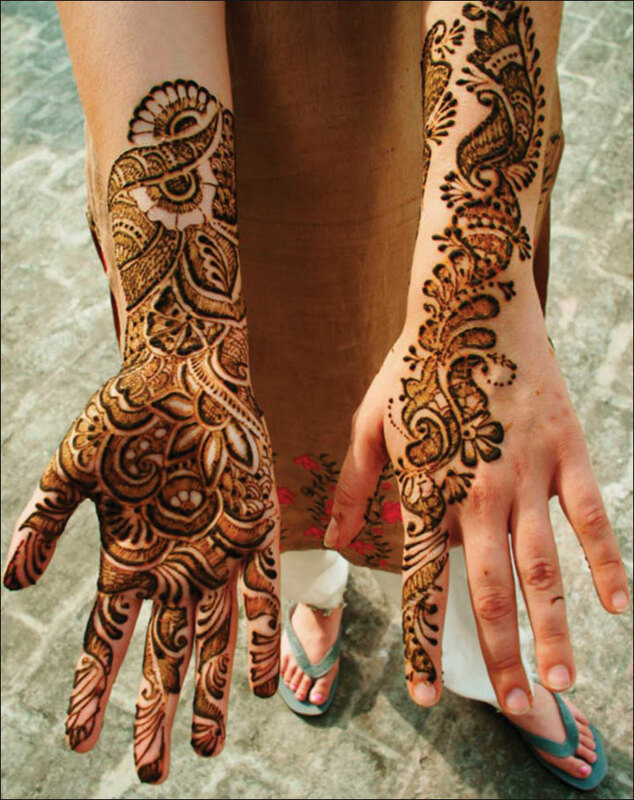 Arabic mehendi is dependent on thick outlines as seen in this pattern. 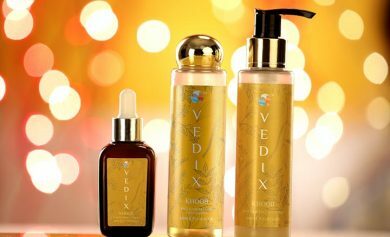 It is an integral part of its designing. The beauty lies in the thick outline and filled in insides. 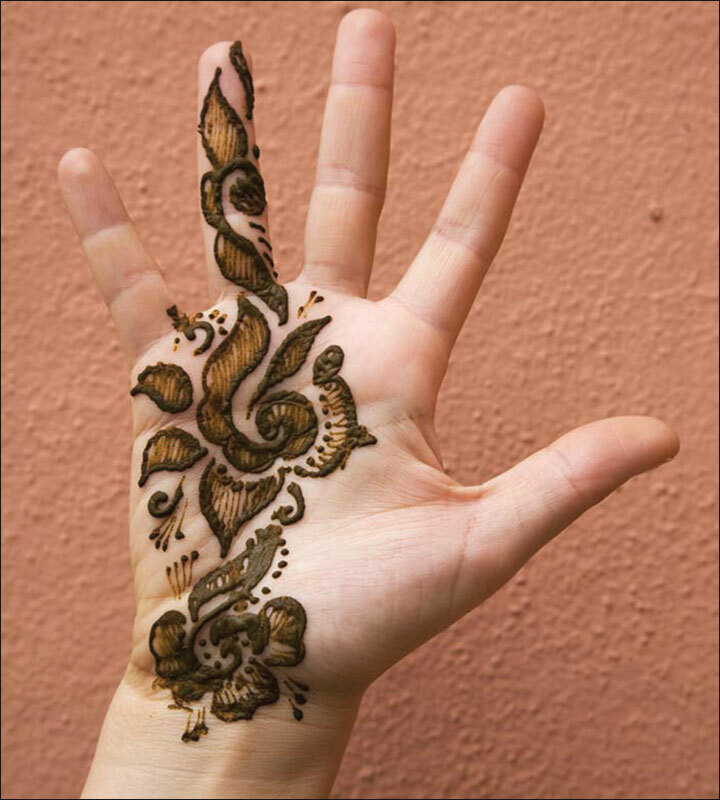 This wedding henna design is easy to recreate with the shading adding exquisite air to the look. Let’s go retro with this design. 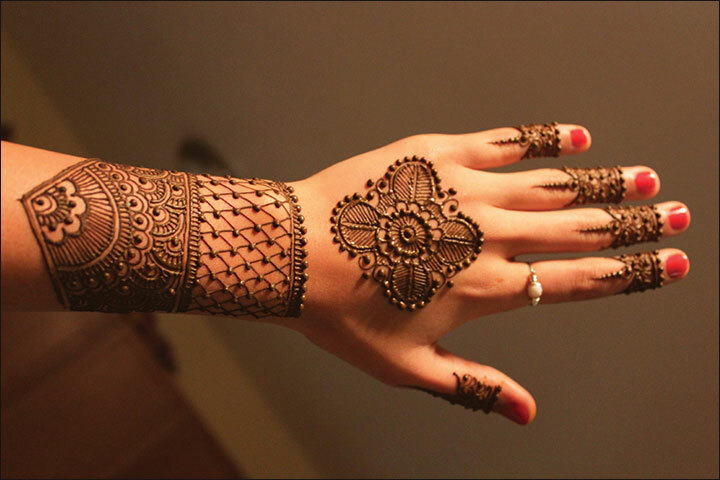 Arabic mehendi is known for being thick and full and this old school design signifies just that. It uses the floral patterned motif in sequence to create a distinguished design and as always, the dots that surround this bail- like design, help accentuate it. As promised, here’s a step by step tutorial that teaches you how to apply this particular design. 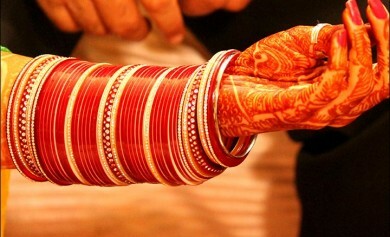 It\f you have been applying mehendi on your hands for a while then you shouldn’t have a problem but if you’re a first timer, it’s better to get some practice on paper before you try it on your wedding day. 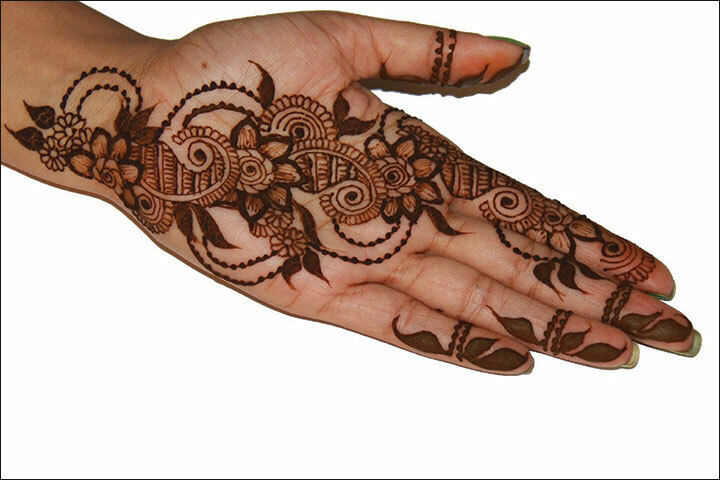 If you’re the kind that is not huge on mehendi but would still like to put some on for your big day, then this is the design for you. 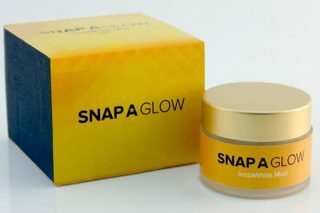 It’s small and thick thus tricking you since it covers a large area in just one motif. 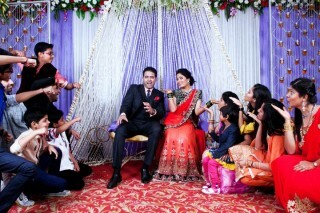 You can always develop the design more by adding floral motifs and filler patterns to the design. 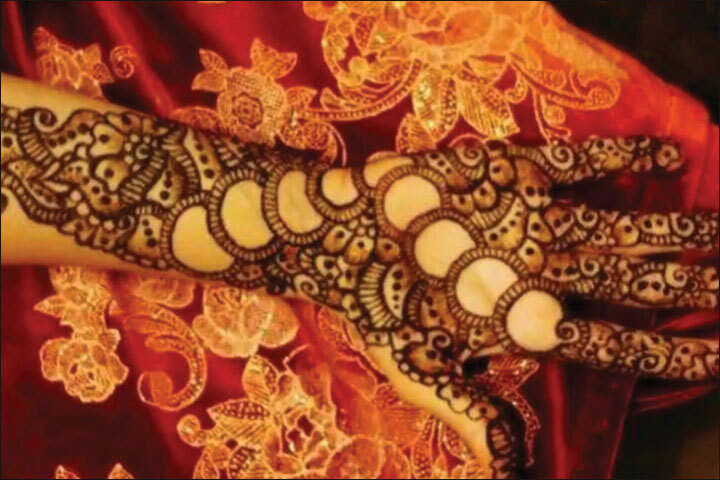 Here’s another video that helps you with a step by step process to recreate the intricate design of this bridal arabian mehndi pattern. This DIY like all others on this list are hard to recreate perfectly in the first attempt, hence it’s advised that you practice it a couple of times or get it done by someone who is a professional. 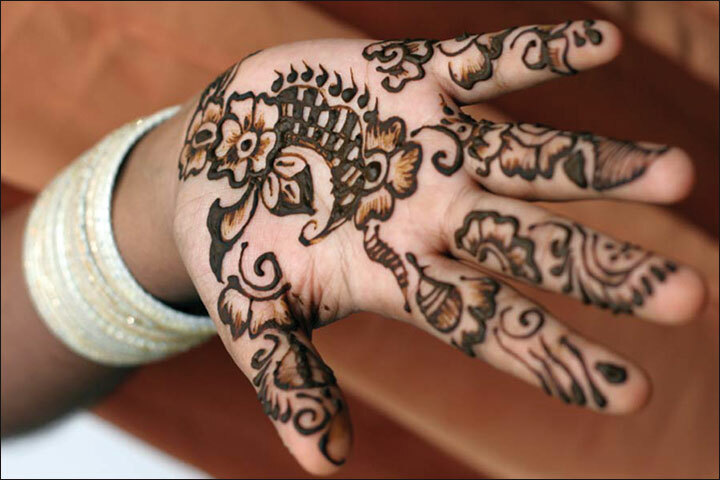 A single flower and leaf motif is a usual go-to when it comes to arabian mehndi. 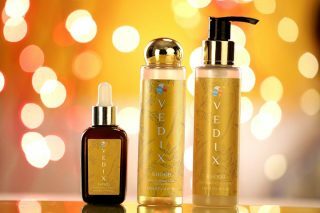 It’s easy, simple and absolutely beautiful. The thick borders make it look majestic and its beauty is accentuated by the patterned dots. Bold and thick makes the statement. Surprisingly the thickness only makes it more beautiful as opposed to the general belief. 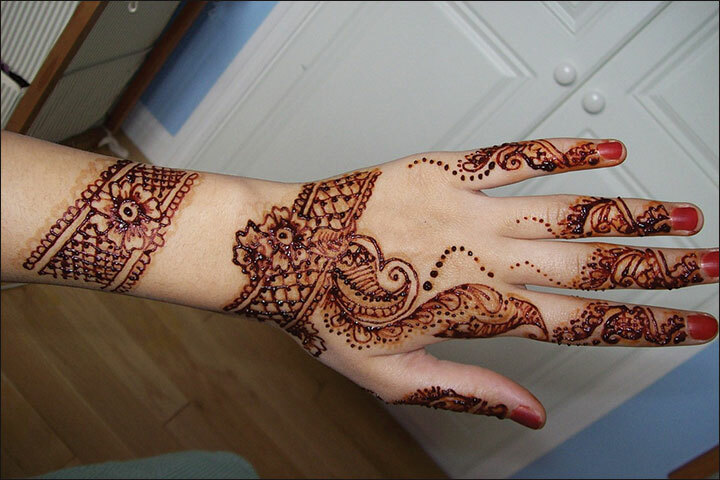 The brick red color of this mehndi pattern brings out its beauty. Unlike most other designs, this one is fully filled in. Another simplistic design that has room to be made bigger depending on your choice and liking. 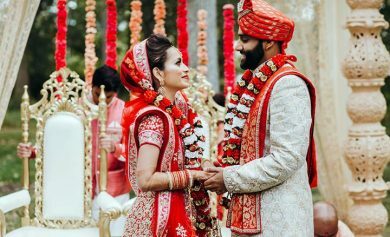 This pattern uses the link chain pattern that takes its inspiration from the chain that often adorns the bride’s nose rings and earrings. 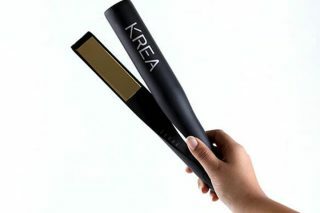 It also has a unique pattern for the finger tips. 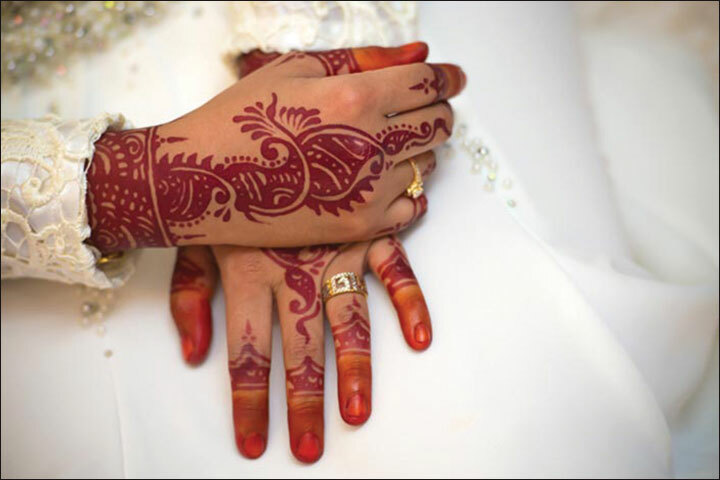 This arabic mehndi pattern for brides covers it all. The net, checkered pattern, the floral and the shading and manages to look absolutely clean and magnificent. It is one of the classics and is well liked. This pattern has a lot of finesse to it. 15. HD 3D Arabic Mehndi Video Tutorial. This pattern is a floral avalanche, it has flowers in succession that are accesorised with the combination of beautiful line and curve motifs. 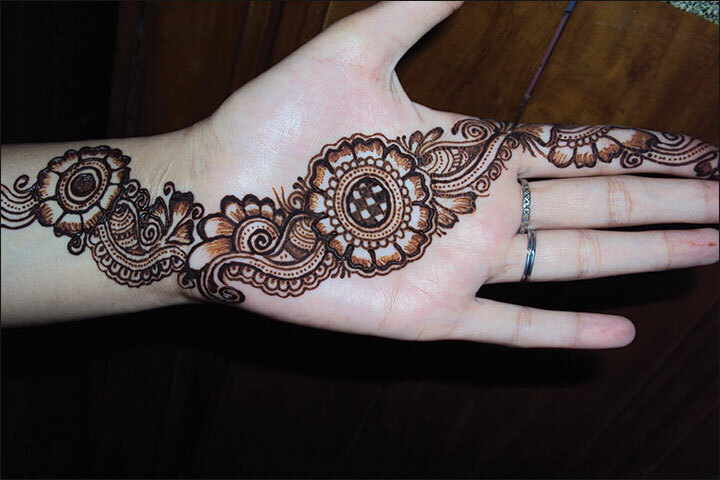 This simple arabic mehndi design is a work of art.This is one of those exclusive patterns that work on repetition of motifs and does so brilliantly. 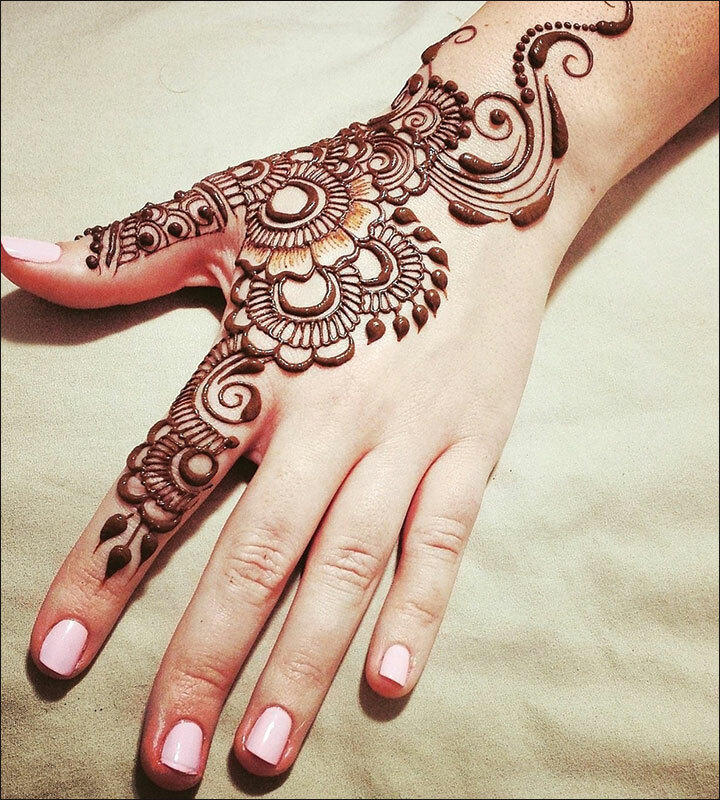 A unique, exquisite, statement arabic mehndi design, this one spells grandeur. The beauty of this patterned design is the empty connect orbs that give it a royal feel.Apart from the select areas, the hands are completely filled with exquisite curves that are shaded and dotted. Which makes it look clean. Another full floral succession design this one is specifically made for the back of your hands. It showcases the repetition of the flower motif but instead of starting from the index finger and continuing up to the wrist (which is the traditional style) it starts from the little finger. 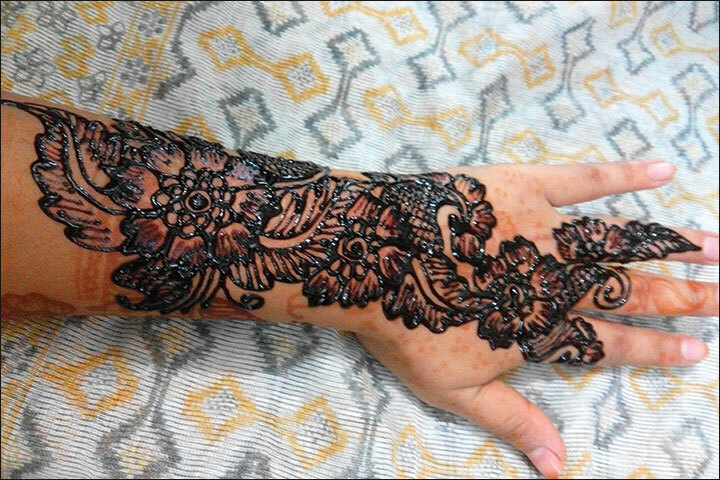 This black henna tattoo pattern is a full hand design. 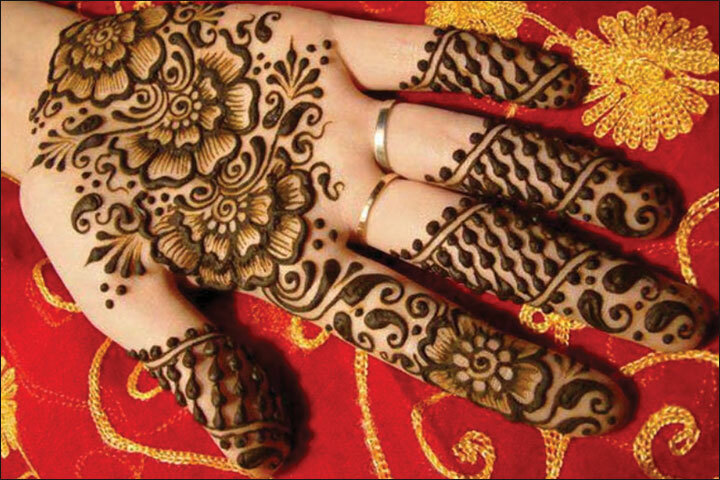 It is a little complicated and filled with intricate patterns belonging to the traditional arabian design. 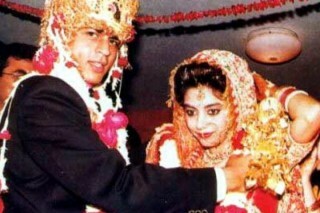 The mehndi motif primarily used is the flower and leaf motif. Another video tutorial! 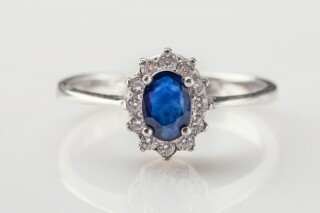 But this one shows you a rather unconventional design. It breaks away from perfect curves to delve into some geometrical fun. 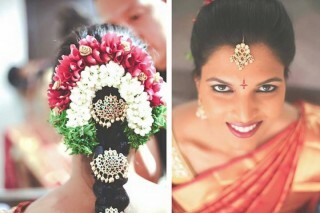 Like all other videos on the list, it goes into a detailed step by step procedure to this amazing design. This bail pattern or sequenced flower pattern is a huge hit. Its broad thick outline and calculated patterning make a ‘bold’ statement (pun intended) This pattern does not alter between thick and thin strokes nor uses shading but simply manages to look amazing because of its patterning. 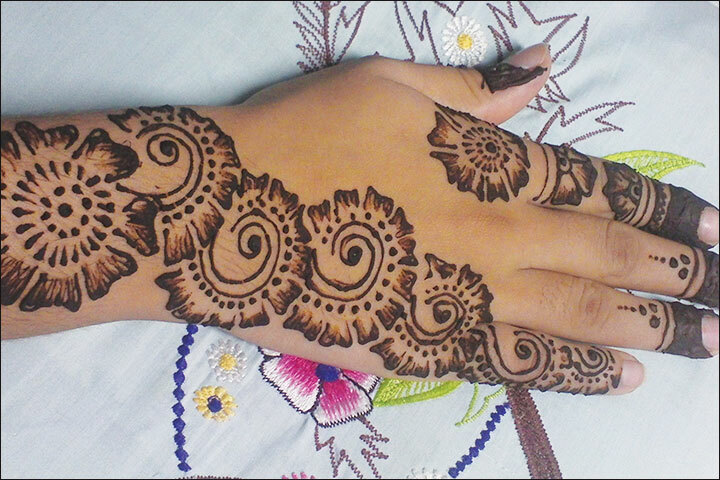 The last one on the list for arabic mehndi designs for hands, this one is quite elaborate. It depends heavily on shadowing and has smaller more complex patterning that brings out the beauty of this piece of art.